Are you looking for affordable Acupuncture in Torbay? We are conveniently located in Preston, just a short distance between Torquay and Paignton. The Clinic has been established locally since 1995 and is run by myself, Kim Maidment. Prior to that, I trained for three years at The College of Integrated Chinese Medicine in Reading for my Licentiate. This is where I formally studied Five Element Acupuncture, TCM Acupuncture and Patent Herbs, in addition to Anatomy, Pathology and Physiology. Later, I studied for a further year in order to convert this training into an accredited Bachelor of Science Honours degree. Since that time, I have been in continuous practice and have extended my professional knowledge-base by achieving accreditations in, amongst other things, Bio-Magnetics and Tuina. As a Member of the Complementary Medical Association, I am bound by the Society's strict Code of Ethics and have to undertake regular training modules as part of my ongoing professional development. Why choose me? I am friendly, well qualified and very experienced. 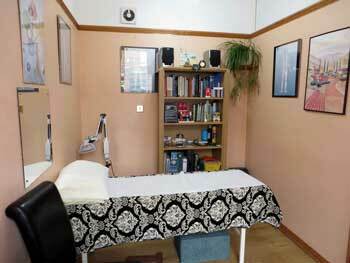 I am able to offer good quality, personal one-to-one treatments. What's more, I try to keep my charges to a minimum, where possible, simply because I want to ensure my services remain more widely accessible in the local area. I'm very lucky to have many happy and satisfied patients who come to me when they feel unwell or when more conventional treatments have not improved their symptoms at all. Indeed, I have some patients who come on a regular basis to maintain their overall sense of physical and mental well-being. With many first-time patients, I am often their last resort after having tried other medical treatments to no avail. And, whilst some people can initially be scared of needles, after they've visited me for the first time, they soon wonder what all the fuss was about? 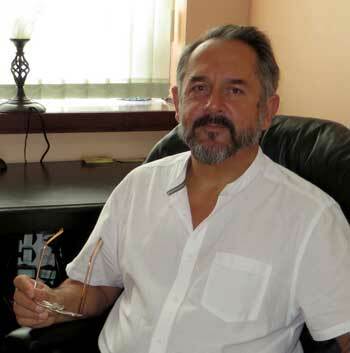 The best way to get in touch with me is to telephone me direct at The Clinic on 01803 525019. Or, alternatively, if I am not in the Clinic, you can always reach me on my mobile - 07901888586. My Charges are £35 per treatment, which last about one hour. If you are not sure about your requirements, please contact me for a Free initial consultation when I can discuss your needs and expectations and arrange a time to meet.